An Evening at The Mystery Lounge. 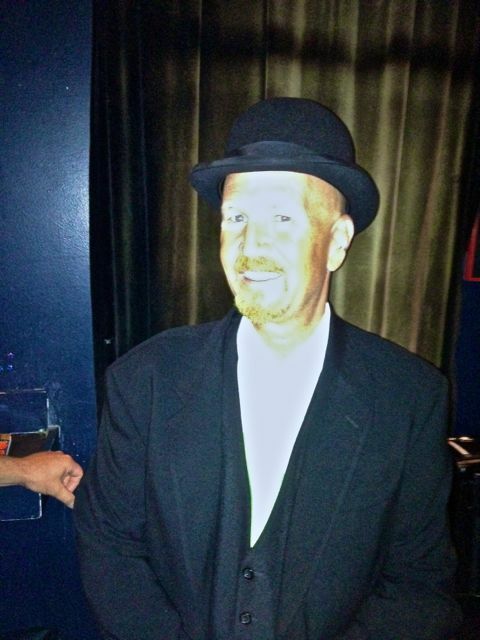 I had one of those rare ‘everything was great’ evening performing last night at the fabulous ‘Mystery Lounge’ in Cambridge, MA. Maybe I’m getting a little cynical as I get older, but I seldom just really enjoy a gig from the moment I walk through the door until after I have left. I did last night! 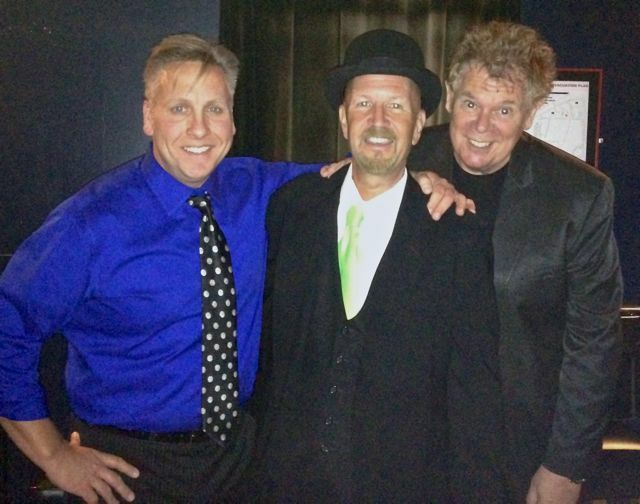 It was my good fortune to be booked at the ‘Mystery Lounge’ last night with my friends Joe Howard and Steve Kradolfer, they were wonderful hosts and tremendous performers who had the crowd screaming with their polished and laugh packed acts. I remember, back in the height of the comedy club era, always looking forward to playing in Cambridge at the ‘Catch a Rising Star’ club. One of the reasons I enjoyed it was that I got to spend some time with Jon Stetson—one of magic’s very nicest people! On one visit Jon told me about the Magic Lounge idea, and its Tuesday night occupancy. 13 years later the project is still going strong! The audience in the Mystery Lounge is a great mix of ages and people. Magicians are scattered in the crowd with magic lovers, and they are so enthusiastic that it truly warms one’s heart. The 8:00 pm show started promptly at 8:15 and then the action never stopped. The audience really got their money’s worth and it was tough to keep the show to a sensible length. The core group of performers, who are at the centre of the ‘Lounge’ are Jon Stetson, Steve Kradolfer, Mike Bent, Joe Howard David Oliver and Bob Riordan. That is quite a line-up of talent for the talent pool, other local and visiting magicians add too the performance roster. What is amazing is how fresh the whole event feels and how genuinely friendly things are. I love the structure of the show they present each Tuesday, no boring opening/middle/closing format at the lounge. Boston is famous in the comedy world for the way their shows are usually hosted by the headliner–who goes into overdrive and whips the audience into shape. He introduces a couple of acts as his special guests and then finishes the show with his actual set. This system really works! Joe Howard opened up the bill last night with a ten minute set that had the audience, eating out of the palm of his hand. He was funny, street savvy and smoother than silk. In ten minutes he took the crowd from zero to 100, and that was just for openers. Steve Kradolfer followed Joe and kept the pace moving perfectly. He is a very funny man and he does some great magic. His ‘Cards Across’ was a perfect exercise in how to handle two assistants onstage and get laughs without any sense of embarrassment. He has a line for everything—and they are all funny. You realize instantly with Steve that you are in the hands of a real pro and just settle back and enjoy the ride. His closing ‘bit’ is an inspired and original comedy/magic routine that perfectly concluded his 25-minute performance, I was ready to watch much more! Joe returned to the stage and picked up the energy still further, by the time he had finished his 15 minute second set the crowd was roaring. Joe truly has one of the greatest routines for the ‘Cups and Balls’ and it is visible and perfect entertainment even in a full showroom setting. I am usually not a big fan of the ‘Cups and Balls’ onstage, however Joe made me realize how wrong about it I could be. Next on the bill, local Stand-Up comedian, Langston Kerman performed a smooth and effective ten minute set of pure stand-up. 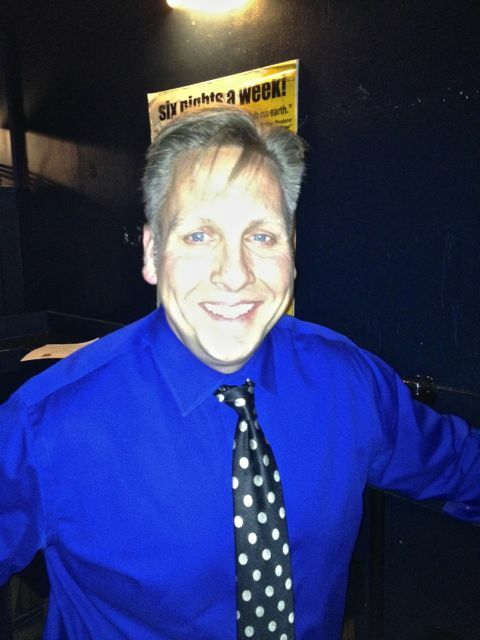 He was a nice addition to the show and as the audience had seen plenty of great magic and were ready for a ‘comedy break.’ It made a very nice touch to feature a classic comedy monologist at this point in the show. It is a rare thing to fall into a beautifully oiled machine, designed to maximize your working environment. Thank you all for letting me participate in the evening. If you are not familiar with the Mystery Lounge check out their website www.mysterylounge.com and if you are in the Boston area, block of that Tuesday on your calendar—you won’t regret it! ~ by Nick Lewin on August 23, 2012.